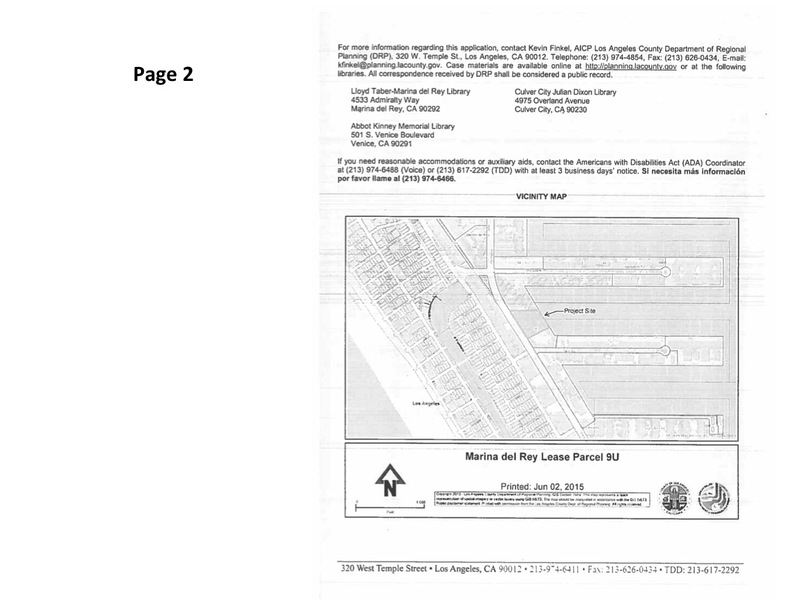 Typical leases of this publicly owned land are for 50 to 60 years. 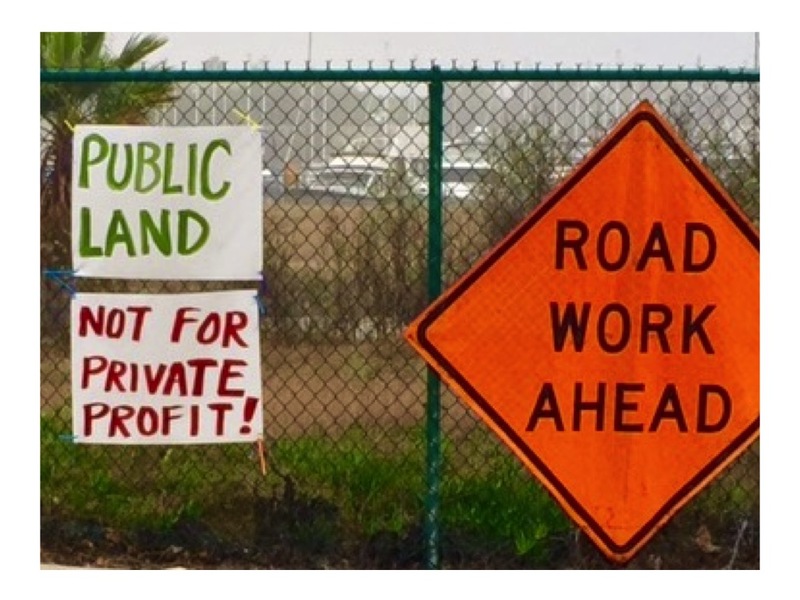 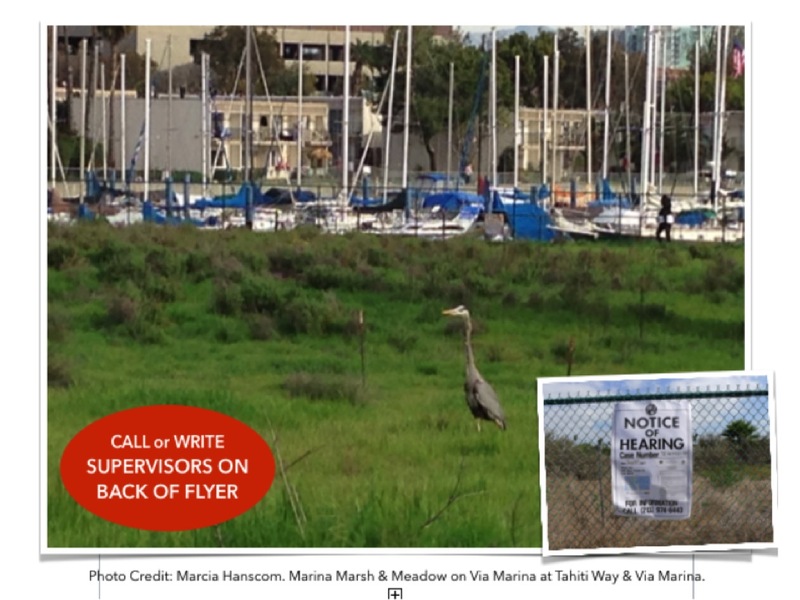 With perpetual growth, this area should be safe-guarded for future recreational needs, not commercial development. 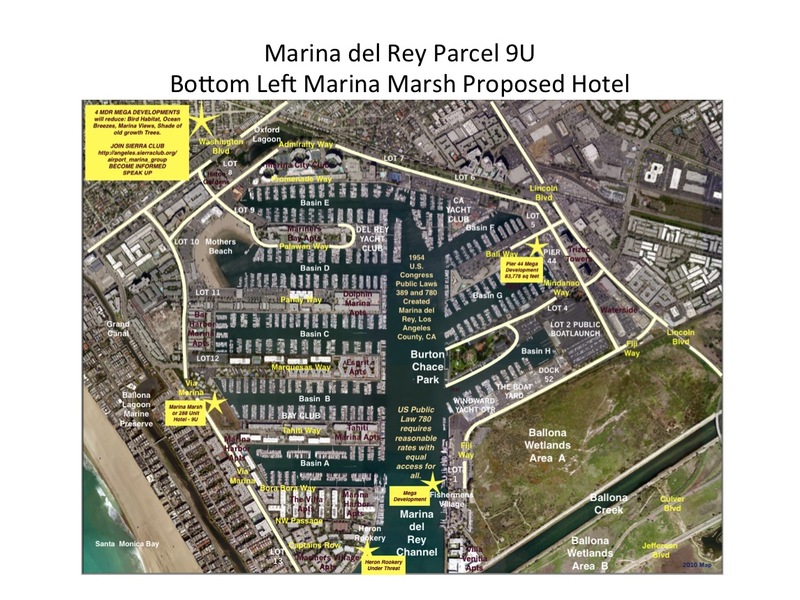 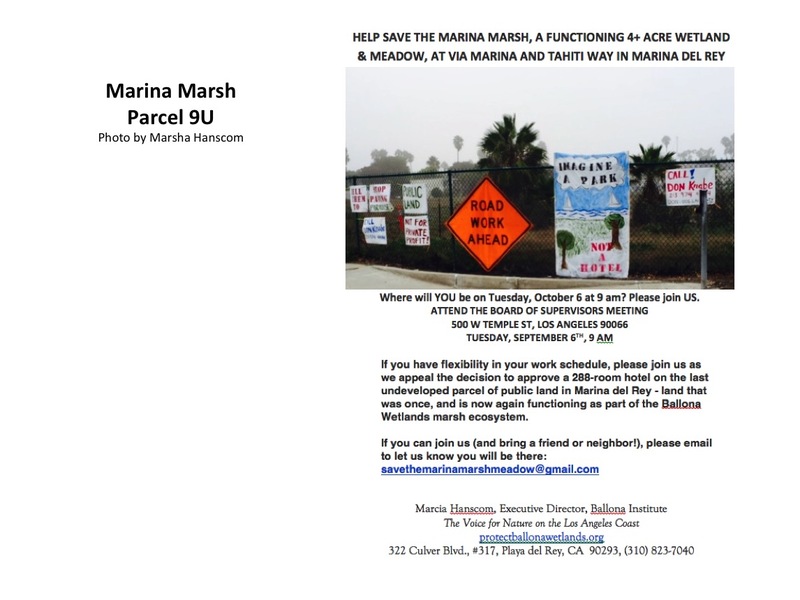 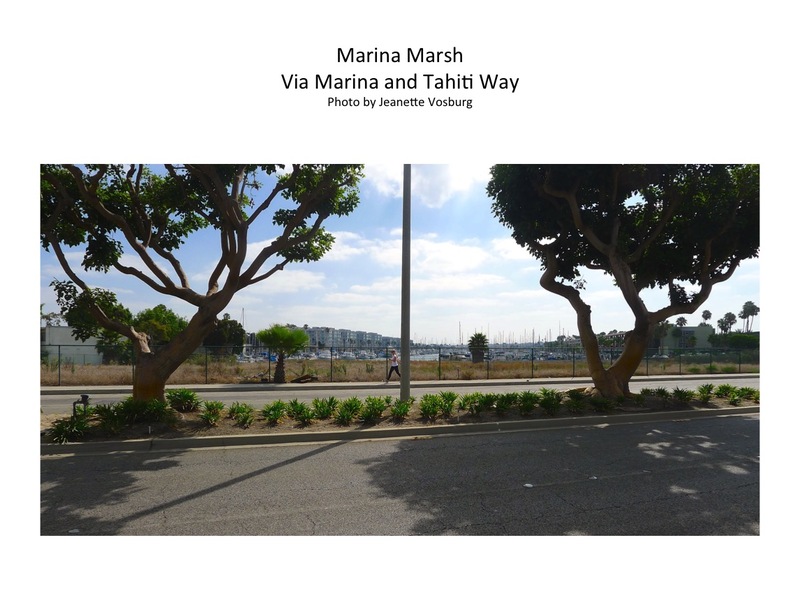 In 1954 Marina del Rey U.S. Public laws 389 and 780 were created for a small craft harbor, land-side recreation and a bird sanctuary. 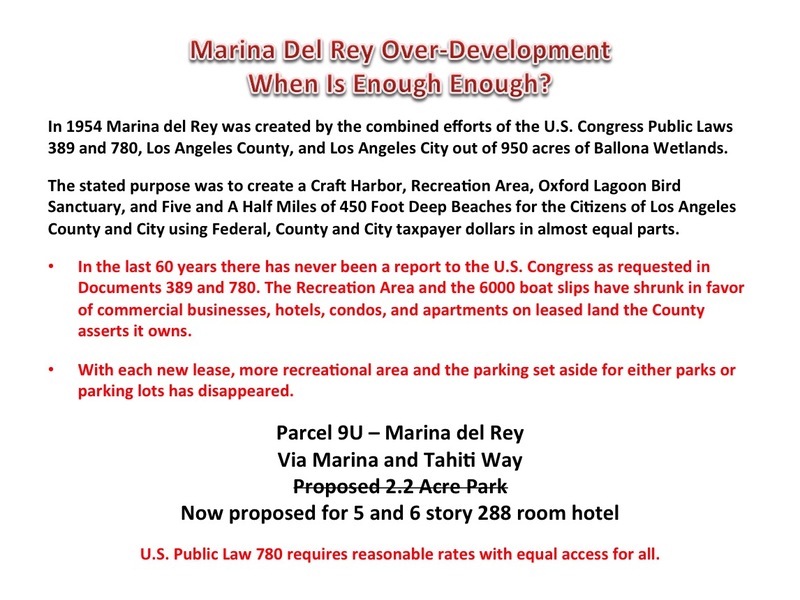 U.S. Public Law 780 authorized federal tax dollars which requires reasonable rates with equal access for all. 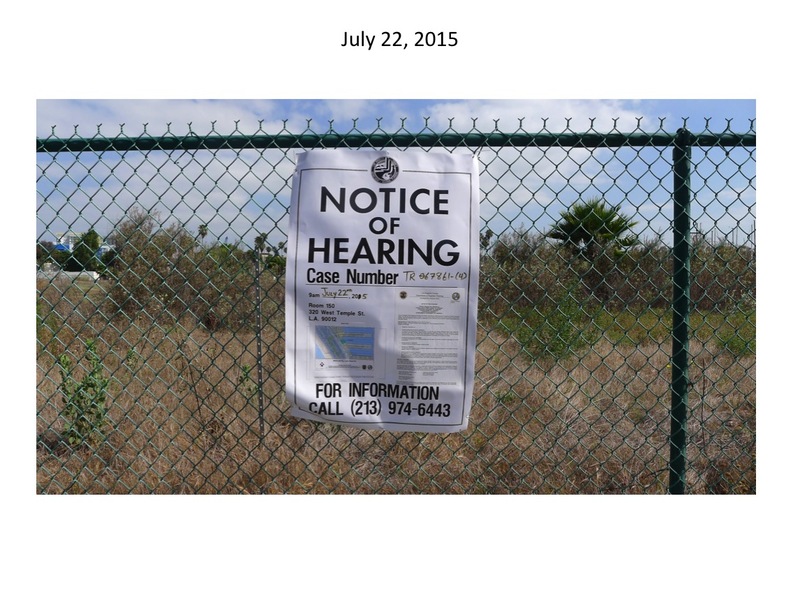 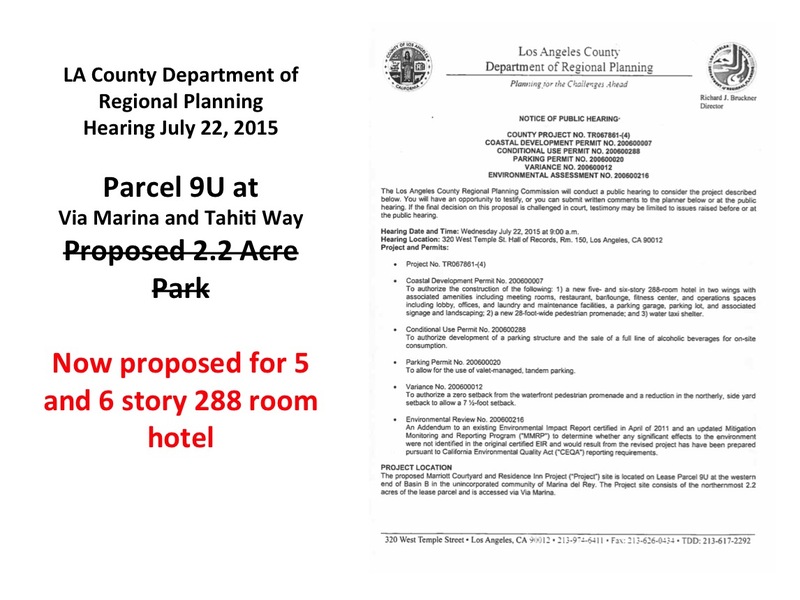 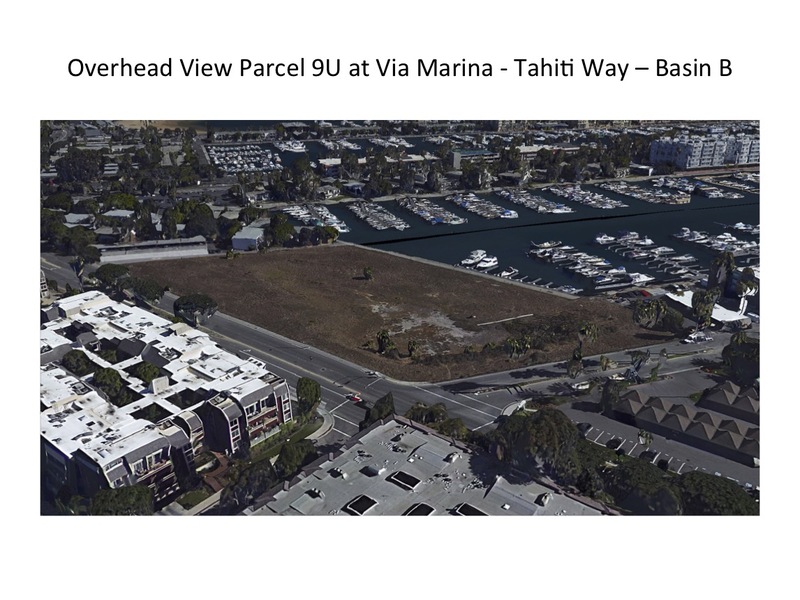 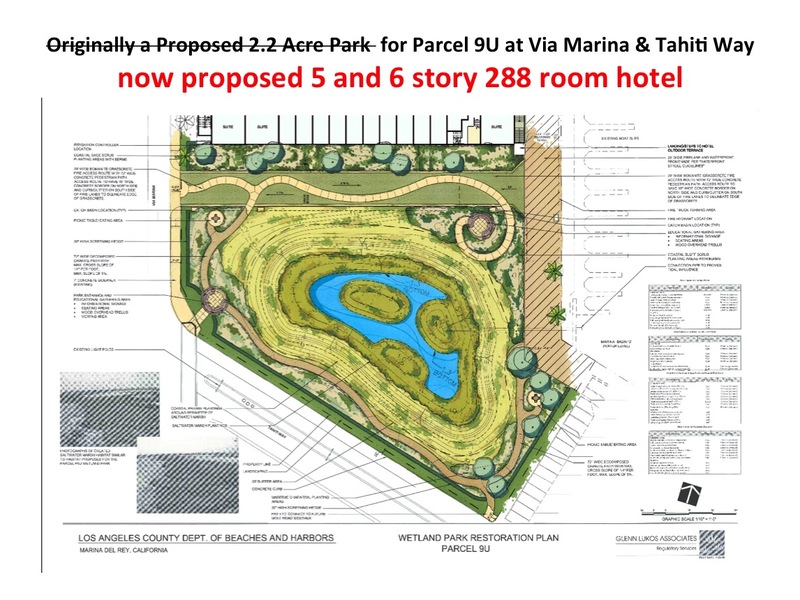 Original proposed 2.2 Acre Park and Wetlands on 9U. 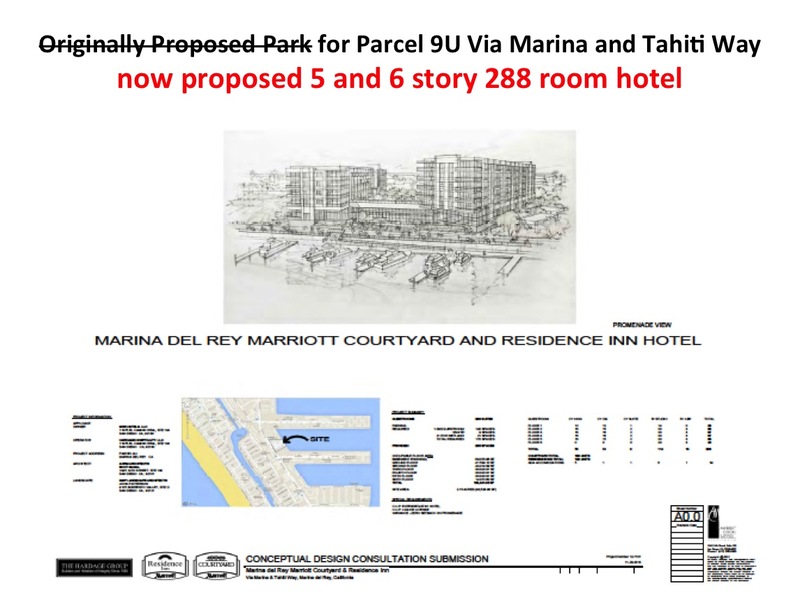 Proposed 5 and 6 story 288 room hotel. 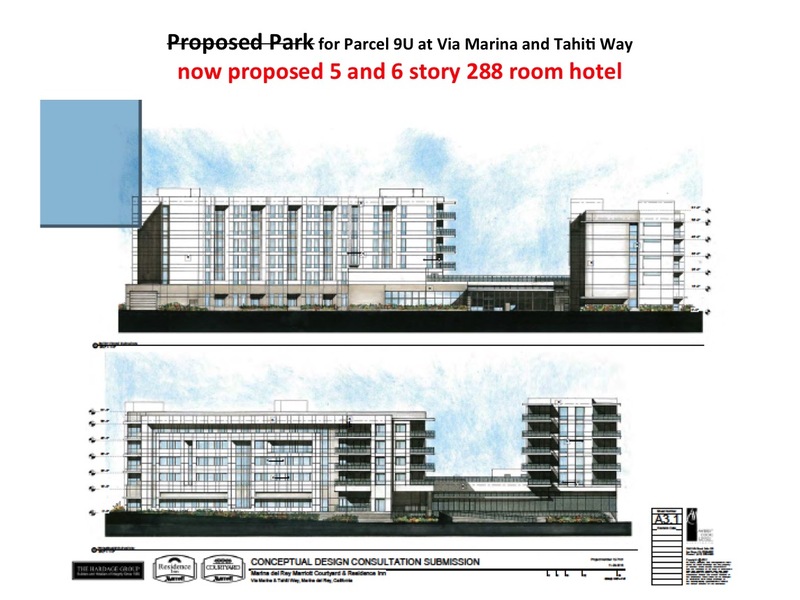 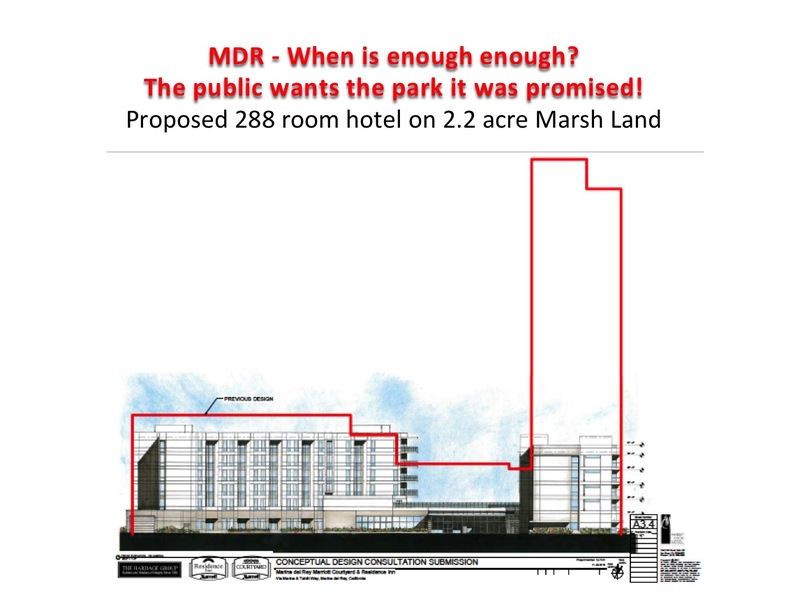 Proposed 5 and 6 story 288 room hotel with tower. 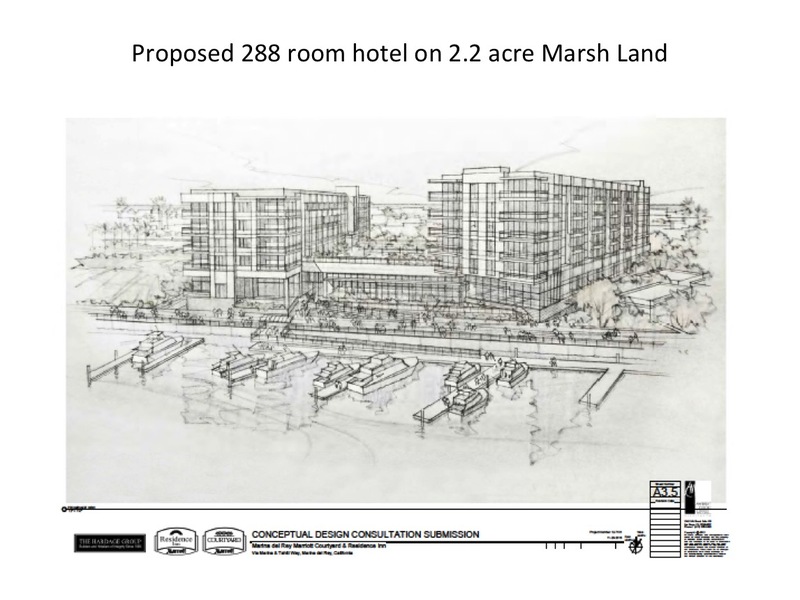 Another conceptual drawing of Proposed 5 and 6 story 288 room hotel. 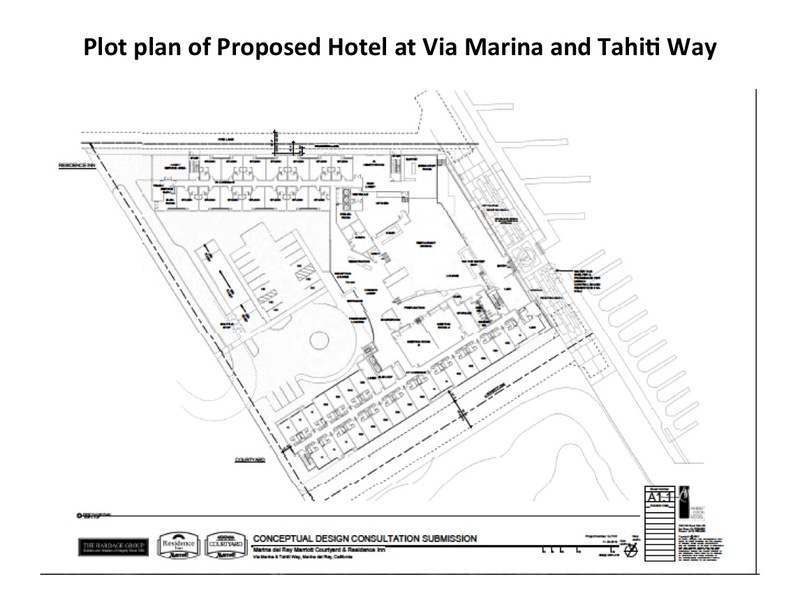 Plot plan of Proposed Over-Development. 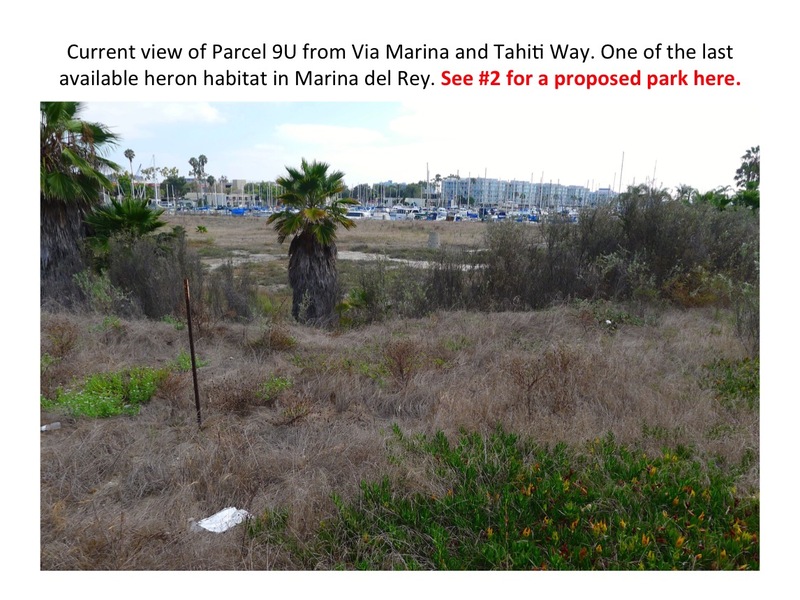 Same plot plan but note the area to the right is the proposed park obscured by plant pallet. 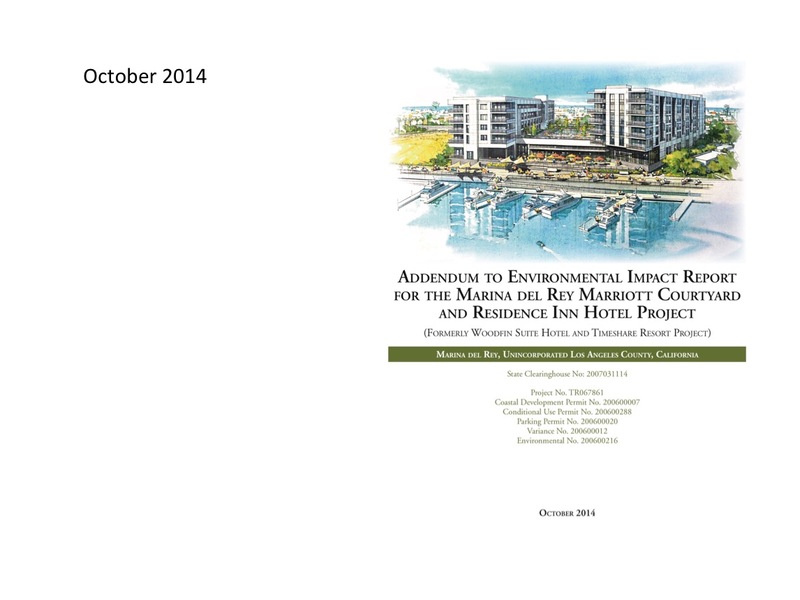 Both the Environmental Impact Report and this Amendment are available on this site. 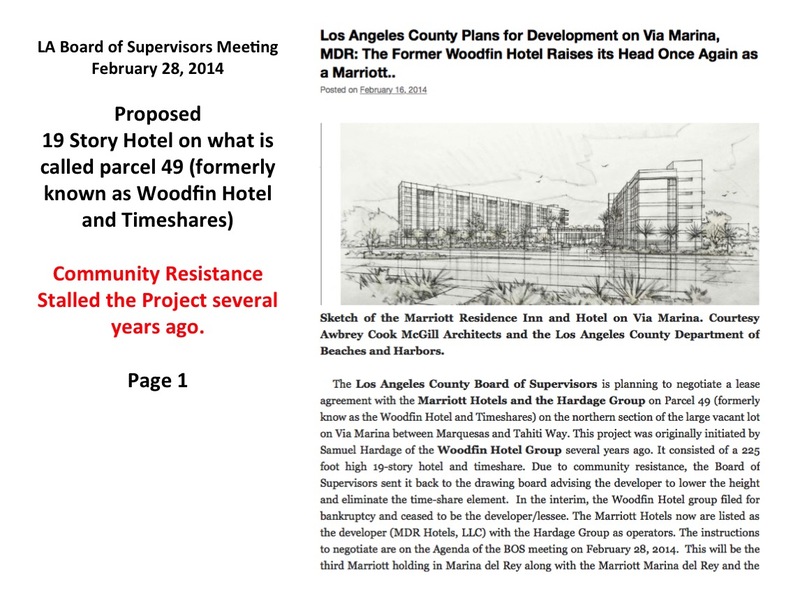 Community Resistance to these hotel is not new! 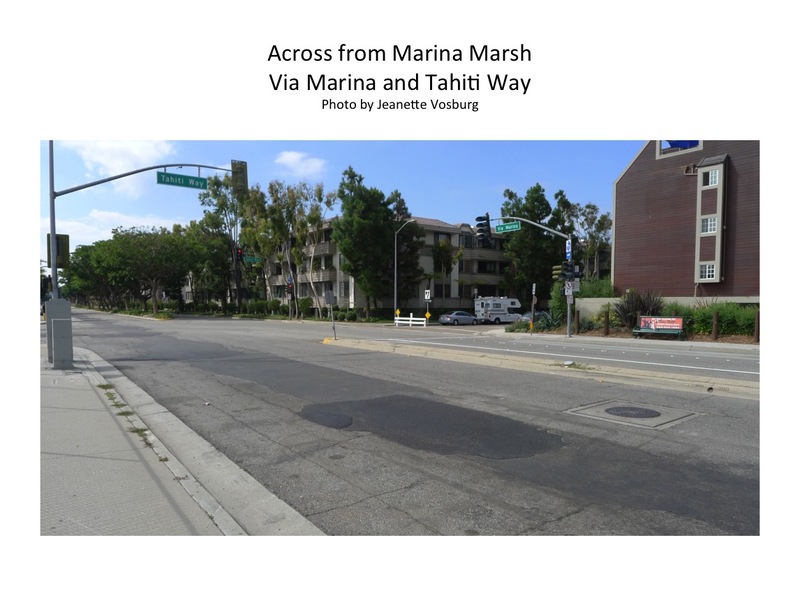 It was stalled several years ago, too. 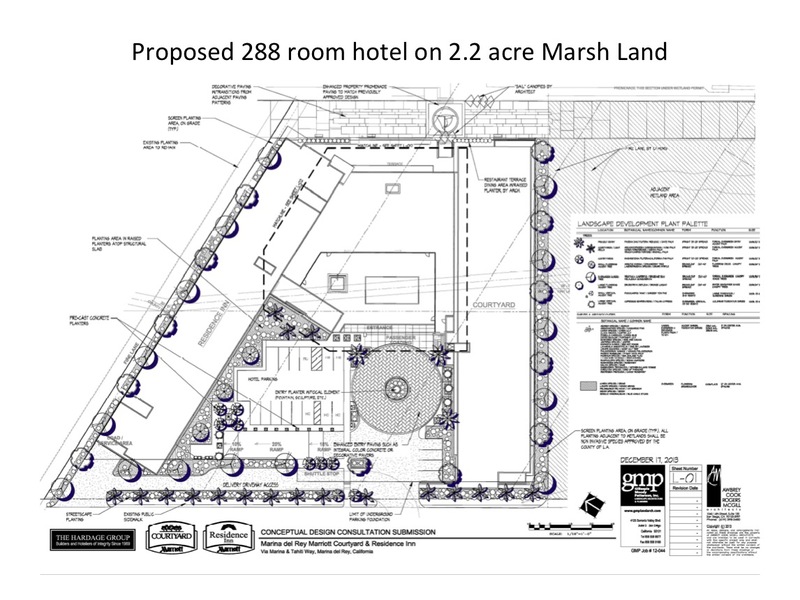 Proposed Lease June 2015 is available at the Library, 4533 Admiralty. 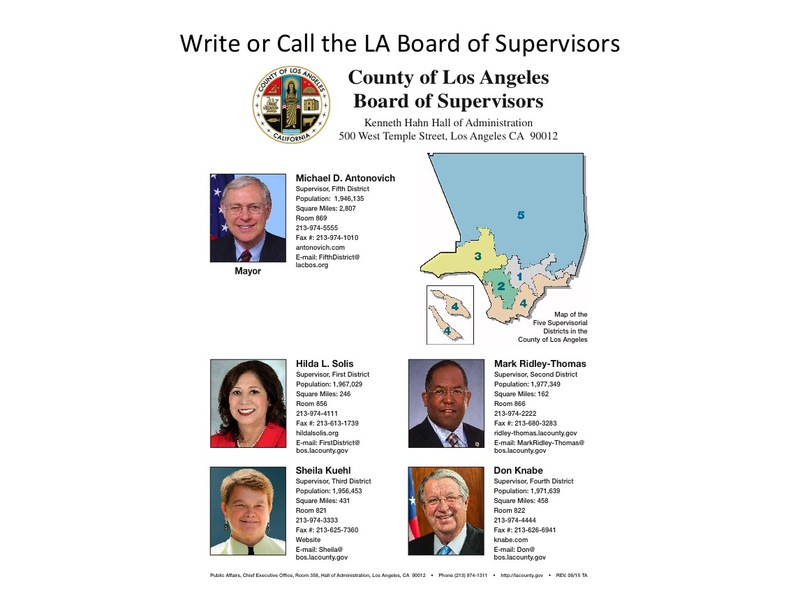 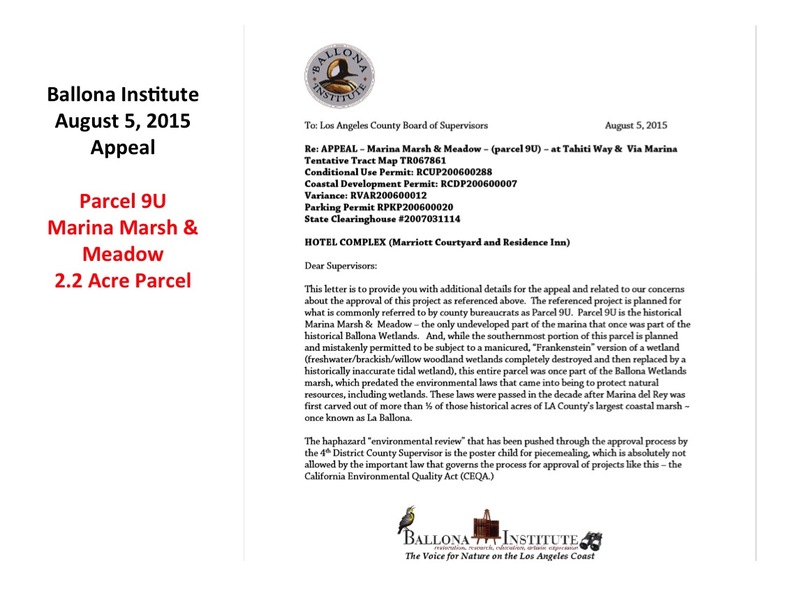 Contact information for the five members of the Board of Supervisors responsible for these Proposed Projects.